I call you my sweet “sister” because in the family of God we are children of the same father and name you “Sweet” because we should be encouraging each other and sharing in each other’s joys. 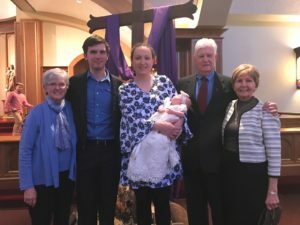 So I wanted to share with you the joy of my granddaughter’s baptism. I hesitated before deciding to share this as I know different denominations differ on infant baptism. In fact, my son in law hestitated on having her baptized as an infant as well. 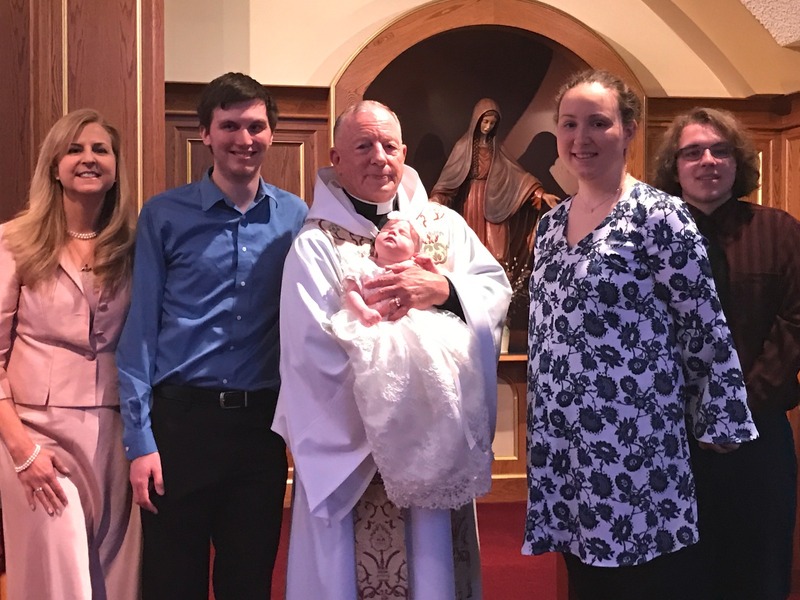 Utimately, all the Christians in my family (Protestants and Catholics) see this as just the beginning as we pray that Megan Elise will continue to say “Yes” to following Jesus all the days of her life. I started this blog to reach out to ALL my Christian sisters as I have a respect for how God is at work in all denominations that believe that Jesus is “the way, the truth and the life”. I grew up Methodist, spent my late teens attending a Baptist church and joined the Catholic Church as a young adult. Through the years God has chipped away at many of my misconceptions and prejudices I had against the Catholic Church. I now know from experience that there are sisters and brothers who have a deep personal relationship with Jesus Christ spread throughout ALL the christian denominations. However, our enemy wants us to argue with our brothers and sisters over doctrinal differences so we have less energy to spread the gospel. Our pulpits should not be used to speak negatively about different denominations but instead to preach the Good News of love, truth and peace. Our focus and energy should always be on how to work together to spread the gospel message that God has provided a way for us to be set free from the chains of sin and death. 1. We can all agree that our deepest heart prayer is that our children will grow up to know, love and serve Jesus Christ all the days of their lives. 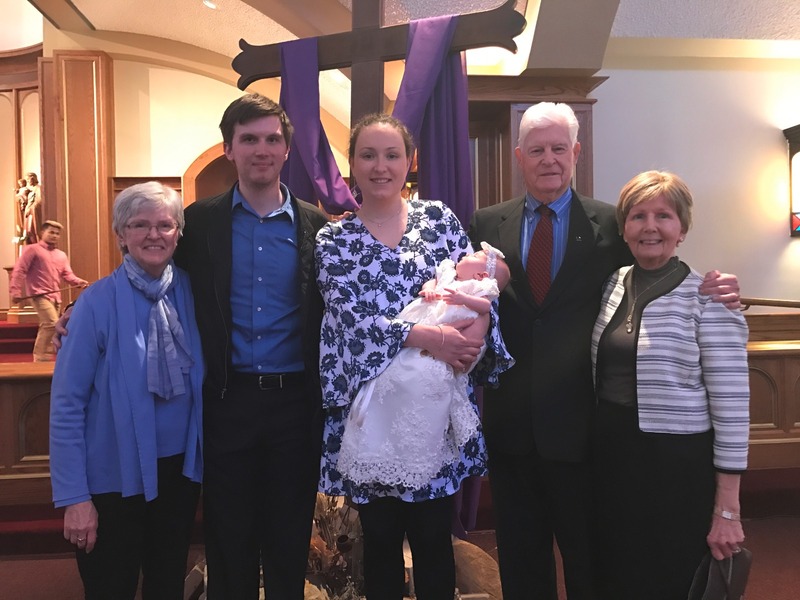 While I am thankful for the sacrament of baptism, my biggest prayer is that my granddaughter Megan will continue to say “Yes” to Jesus throughout her life. 2. We can agree that we are all works in progress and that we all make mistakes. We all need the Lord. 5. Families share our joys and divide our sorrows. 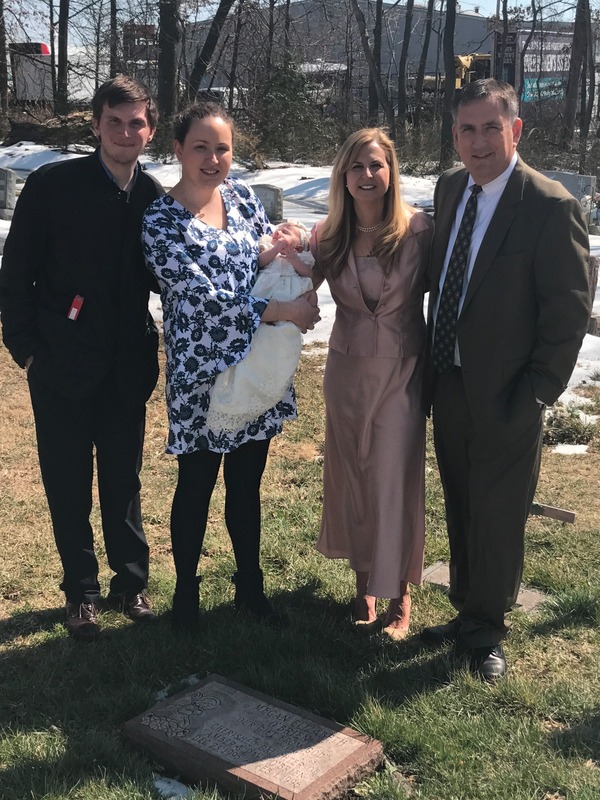 In the same Church that my granddaughter Megan Elise was baptized in, my daughter Megan Elizabeth was given the sacrament of burial. 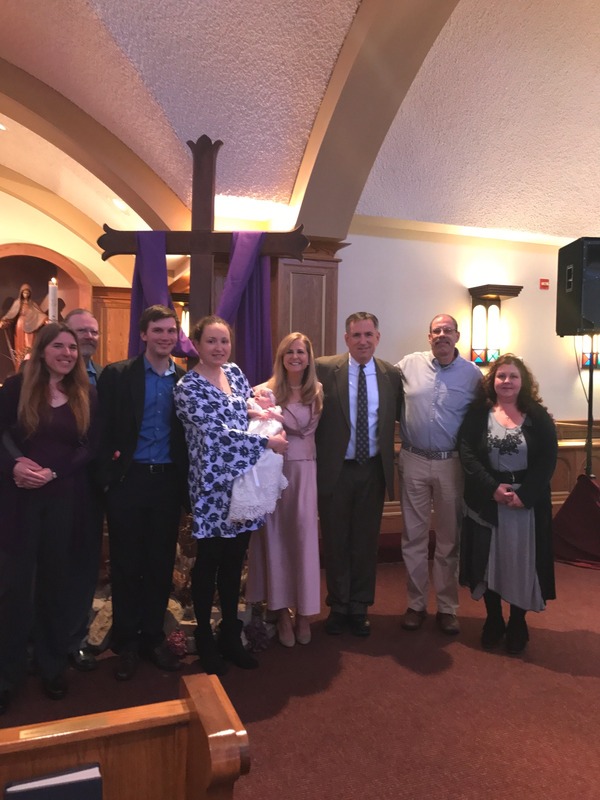 My family came to add to our joy for the Baptism. My family also came to divide our sorrow for burial 22 years before. 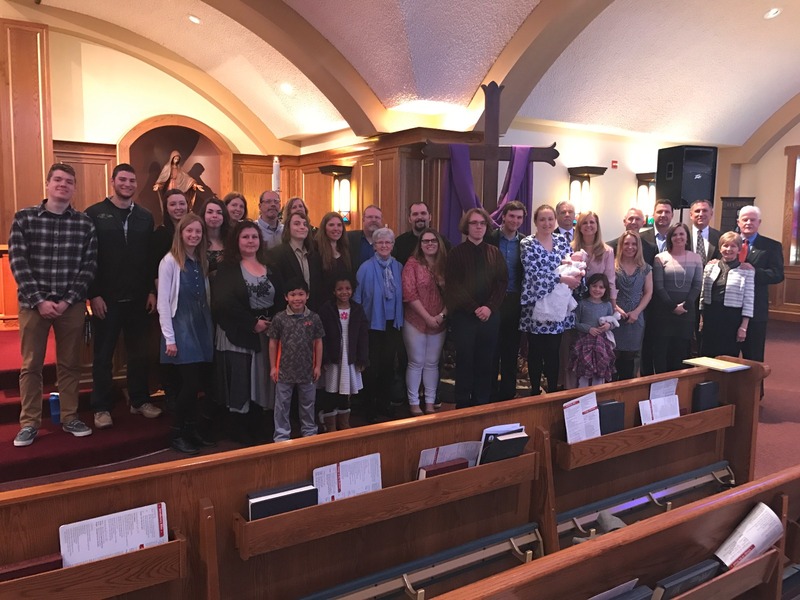 I truly felt some of the burden lift through each person who came to the funeral and I received added joy for each family member who came to celebrate our great joy of committing Megan Elise into the family of God. So do your best to go to the funerals and to the baptisms, the weddings, the birthdays….While we can’t be everywhere and attend everything, love often requires sacrifice, so prayerfully do your best to be there for each other. 6. We might not always get along with all of our family members. One of my favorite quotes goes something like this: Some family members on your life will feel like Velvet and some will feel like sandpaper. God will use the sandpaper family members to make you less rough around the edges, smoother and able to reflect the face of your creator when others look at your life. The velvet ones give us a glimpse into to how much God loves and adores us. We need both the Sandpaper and Velvet relationships to continue to become more like Jesus…..some people will drive us to our knees in prayer and some in thanksgiving. 7. Forgiveness. My favorite marriage quote is by Ruth Bell Graham “A successful marriage is the union between two good Forgivers”. Really this is true for all relationships isn’t it? We constantly step (trespass) on each other’s toes, each other hearts, hopes and dreams with lead feet. Has a family member disappointed you? Let. It. Go. Keep saying the quote that Jesus prayed as he slowly died a cruel and violent death. “Forgive them Father…they know not what they do”. Pray for your sisters and brothers and especially for those who currently share a strained relationship with you. The enemy’s goal is for division between us sisters and brothers. Don’t give the enemy any ground. Our Jesus is the Prince of Peace. So let Him rule in your hearts, and in all your earthly and heavenly relationships. 8. God loves us through our families. So seek out and make time to be together. Two of the Commandments are: Honor the Sabbath and Honor your mother and Father. Perhaps seek to spend Sunday with family more? Sunday dinner? Perhaps Pizza so no one needs to work? Play a game after dinner. Chat about the week. God loves us through our families. 10. We may have different Christian brothers and sisters through the many seasons of our lives, but we have one Heavenly Father who gave us his only son, Jesus Christ. At each season of your life, seek out Christian sisters and brothers to challenge and encourage you along the way. So Thank you for sharing in my joy over my Grandbaby’s baptism even if you don’t believe in infant baptism. 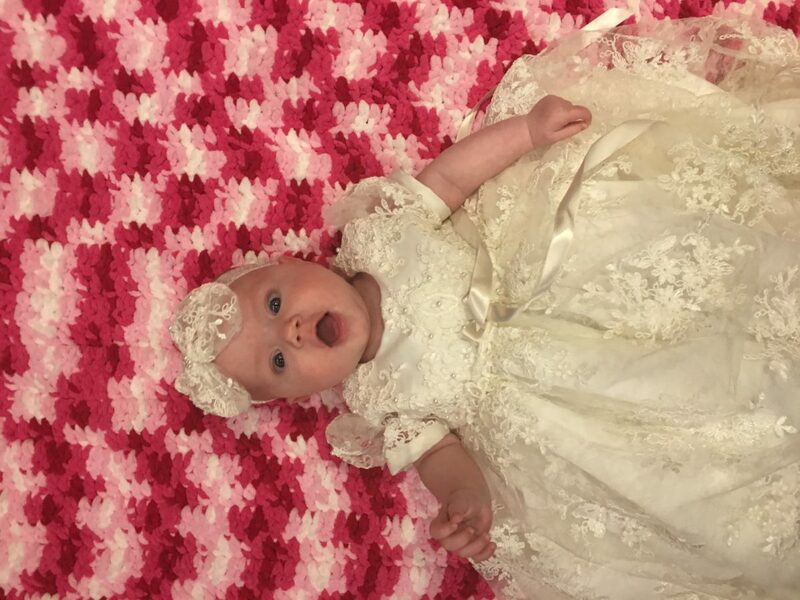 Thank you for praying with me that she will grow up to know, love and serve Jesus all the days of her life. For many years I was distraught over trying to figure out which Christian faith would get me to heaven even though I had accepted Jesus as my Savior as a teenager. After I was married, my husband and I took turns going to each others church. I was Methodist and he was Catholic . 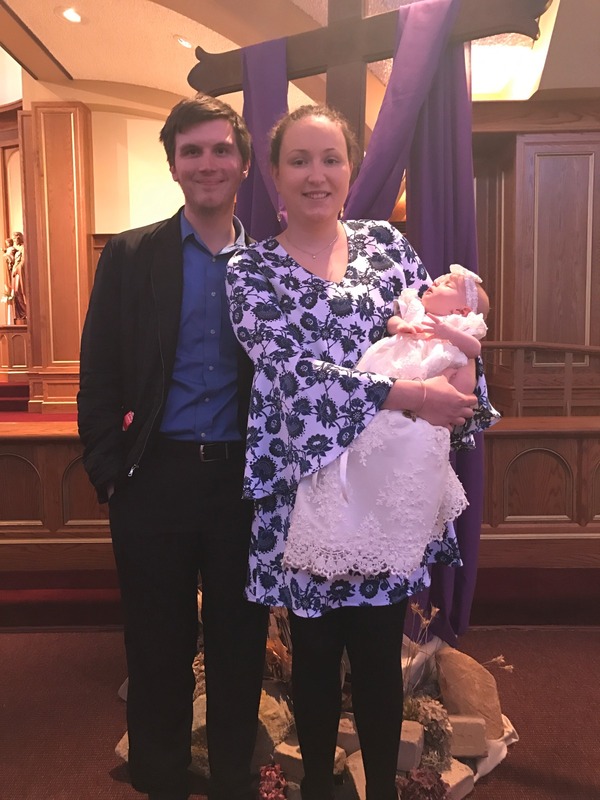 When we had our first child, we discussed that we were one in our marriage except for our faith . I decided to join the Catholic Church. This wasn’t easy for me. I was still dealing with trying to find the right church in order to get to heaven. I had a wonderful couple as my sponsers, Jim and Donna . At one meeting I was visibly upset . Donna asked what was wrong. I explained how I was feeling. She said something to me that opened my eyes, “You must be really special for the devil to give you such a hard time.” I also kept hearing a voice tell me , “It’s all about Jesus.” I heard this many times. My faith needed to be in Jesus, not a church or religious traditions. This is what calmed my heart so that I could complete the oneness of our marriage by being of one faith. Sweet Sisters, it all needs to be about Jesus. Hi Heidi….thank you so much for sharing….wow! I so agree…It’s all about Jesus. I think we try as humans to make things more complicated than they need to be. Jesus is the way, the truth and the life……not a particular denomination. Jesus is the bridge that crosses the gap. I am so glad to have you as a sister.